Do any ZOoF readers out there speak dutch and care to translate? "Dumb giraffe is blocking my view" sadly! Give an example of a "Run Chart". Also explain in words what a Run Chart is. "Too bad, this stupid giraffe is standing in the way!" 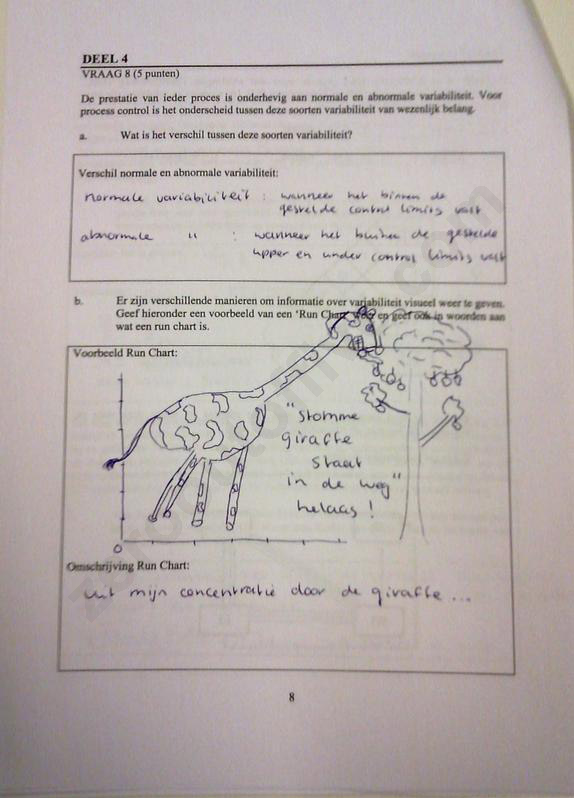 "I have lost my concentration because of the giraffe"
Q: There are different ways to visualize variability. Please give below an example of a ´run chart´ and also give an desciription of what a run chart is. 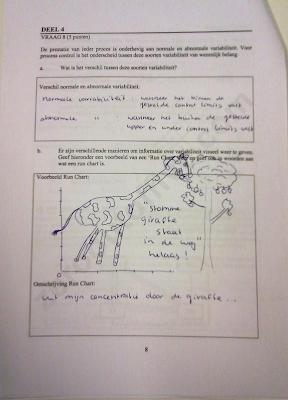 A: Alas, stupid giraffe is blocking the view! There are several ways to visualize variability. Draw a run chart below, and explain in words what a run chart is. "Stupid giraffe stands in the way. Alas!" "from my concentration by the giraffe..."